Favorite Finds 2,349: Salt Piggy! 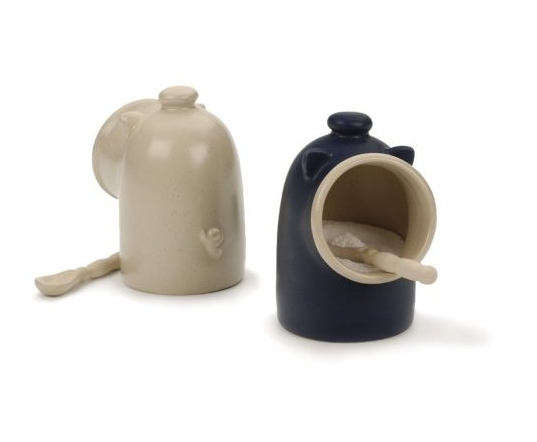 How badly do I want one of these adorable Salt Pigs? Usually, I keep my dish of kosher salt in a little white bowl on my counter top. But this Salt Pig not only is adorable (and helps me to flex my love for all this porcine), it might be a nicer holder than what I’ve got going right now. Plus, you can scoop them up for a mere $10 or so here. it’s oink-rific. do you mean “all things porcine” … ?